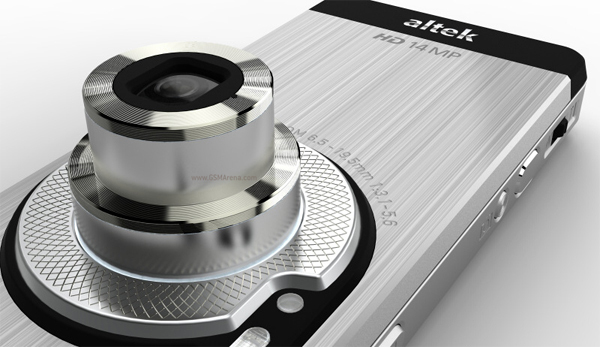 Altek has just announced a new camera phone, the Altek Leo 3.5, which features a massive 14 megapixel sensor and three times optical Zoom, plus it features a Xenon and an LED Flash. The Altek Leo 3.5G features a 14 megapixel CCD sensor, plus the ability to record video in HD, it also comes with a touchscreen display although there are no details on the screen size as yet. Other features include HSPDA and 3G support, and it looks like it will come with a version of Google’s Android OS. Altek have said they will provide more details on the Leo 3.5G at the CommunicAsia 2010 event in June. Have a look and our article on Android vs iPhone to see which smartphone and mobile platform is best for you.